Tuesday - Unibet Crazy Sat: €870 to win! Want to play a £50,000 GTD in London? €670 package for the Unibet Autumn Poker Challenge! Tuesday 6 October, play 3 satellite tournaments with €2 buy-in. Tip 2: Monday 5 October, play our freeroll and win 30 tickets for these satellites. In each tournament, every player who reaches the final table gets points. 1st: €670 package for the £50,000 GTD Unibet Autumn Poker Challenge! In case of a draw, the best ranked player in the last tournament wins! If you don’t have an Unibet account yet, click here and win a free €10 ticket and up to €200 Playthrough bonus. 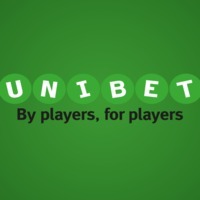 Link your account: Enter your Unibet SCREEN NAME in the green box at the top of this page. 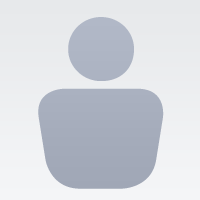 Password for crazy warm up unitbet? Thanks all @RKH for the game! I´m in and GL all! Yeah won 3 tickets in the freeroll! Now let's move up! Nailed it today, safely for the paid posts and took care of the bubble. a €670 package for the £50,000 GTD Unibet Autumn Poker Challenge! Benedetto showed his skills in this festival and during his poker player carrier, having earned more than $36,000 in live events since 2005! We hope he’ll add a new result during this Unibet Autumn Challenge starting on 16 October at Aspers Stratford in London! 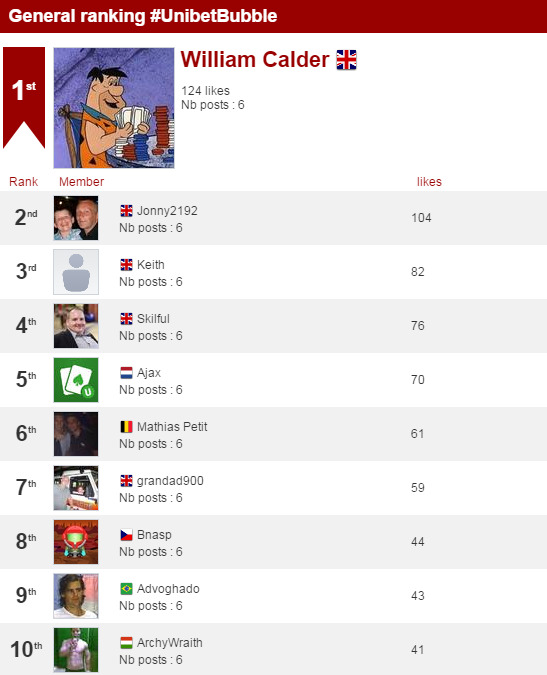 There are also €200 to be distributed among the top scorers in the Unibet Crazy Sat leaderboard. Each of you wins €50 in online tickets! Also, congratulations to all the members who cashed in these events! Thank you for playing with us and see you soon on RankingHero! Sorry for the delay! Our judge @Nicolas Levi has been very busy with a gaming convention in Amsterdam. He is now in Barcelona (yes, life’s not easy for former poker pros), but once again, it’s for work. He is sorry not to be able to post himself but he wants to thank you all for your participation! No more suspense. Here come the results of the mission UnibetBubble! And the winner is... @Bnasp! Congratulations, you win €600 in Unibet tickets! You all win €50 in Unibet tickets! @Jonny2192 who made us laugh with his impressive cartoons! Congratulations! €150 more for you! Congrats everybody who joined in with a post or a like, double congrats if you binked a prize. Super duper congrats @Bnasp for the big win, Have fun with it and build it up. @Emty would be nice if you could get 30e every time you were bubbleboy Glad you got a prize, Sure you were only a vote or 2 off tenth place. congrats to the winners (virtually all of us?) and especially @Jonny2192 for the special jury prize. The comic strip for #decision6 was really creative. Thanks @Keith the comic was a fun project. I have a nice project for a future competition that I am saving. Congrats everybody and thanks RankingHero Team for this competition. You are cool! Was hoping the results would have had an explanation from Nicholas to show a pro would have approached each of these deisions showing his thought process , so we could all have learnt a bit and made us better poker players in the future. Actually @Keith, that's what we do at the end of this kind of missions. But @Nicolas Levi's schedule these days didn't help. Thanks @Nicolas Levi for fitting the judging in amongst the million other things you must be doing with RH and Heroscore, it can't have been easy!! Congratulations all! and thanks @Nicolas Levi and all @RKH Team for promotion! Can you give me MTT tickets please? If you can't whats ok Sorry for my ask. @Emty You can always change tickets in the 2+2 unibet thread. @Emty sent you a message with the links/info. Thank you Unibet and Ranking Hero. Appreciate it. Well done everyone. Im on the road now, so hopefully get back fast to my gaming comp. Ha finally, the winner shows up! GG man! And be safe on the road. You're not supposed to be on Internet while driving ! 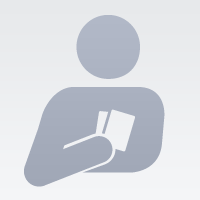 @pazo normally you have received the unibet tickets on your account. Tickets in 2/4 euros the total value for you is 30. @Elena RKH - Thank you. Now I'm looking Unibet account and tickets came. 3x € 10. Thank you very much. tickets received thanks unibet and Rankinghero. I got 50e cash game tickets. Looks like I have to move up in limits. Lets hope I wont be back to micro limits too fast. thanks for tickets. Have to play them today and tomorrow. GL all with your tickets. Mission UnibetBubble is now over! Our judge @Nicolas Levi will now check your posts and select the winner of €300. Congratulations already to you all. Every finalist (except the winner ;) ) will get €50 in Unibet tickets! There will also be a jury special prize of €150. 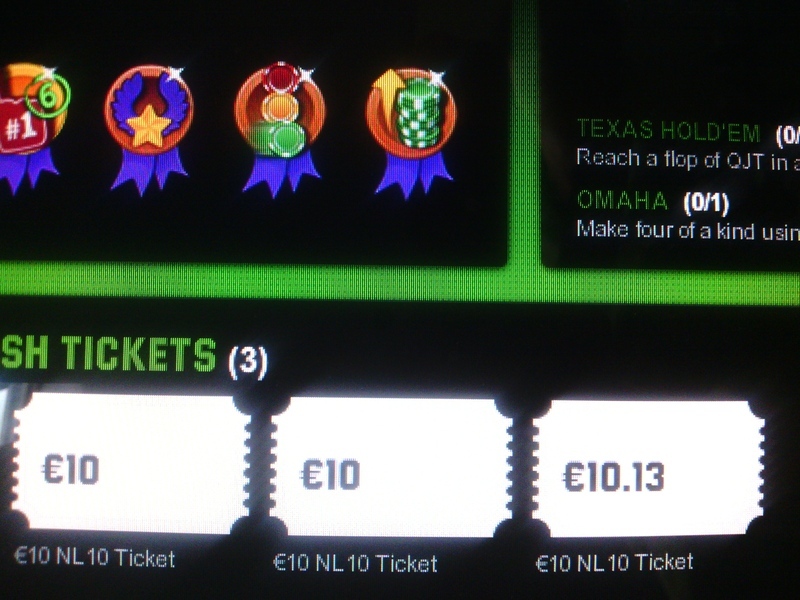 And 10 randomly drawn entrants will win €30 worth of Unibet tickets each! So stay tuned. Results coming soon! Thanks RKH, you're amazing. Congrats to the Finalists! Thankyou RKH good luck everyone all the finalists and everyone else too! @Emty You still have a chance with this cool format, fingers crossed for you! Mission UnibetBubble - Decision 6 - €1,500 to win! Welcome to this new Unibet mission! Every 2 days until the 30th of June, a new poker question will be asked. Notice that the hashtags have changed. We will ask you to tell us your strategy in the situations we will give you in order to reach the bubble with the most comfortable stack possible. Imagine: The bubble is about to burst in the Unibet Open Cannes. There is one last player to bust before getting to the money! This is a new hand. You are on the bubble now. Just one short of the money! Until this one hand where the player on the Button limps in on your big blind. He has 25BB in his stack. As far as you know, he has qualified via a satellite tournament, and he is a very tight player who hasn’t played a hand for 2 hours. The woman in the Small Blind folds. So you are in the Big Blind. You hold 5♣Q♦ and your stack is 25BB. The exact same amount as the villain. A bit tired, you casually tap the table and dully say, “Check”. This is the kind of board that wakes you up immediatly! His eyes hidden behind his sun glasses, villain pushes all his chips in the middle and says “All In”. Give your answer before Wednesday afternoon. 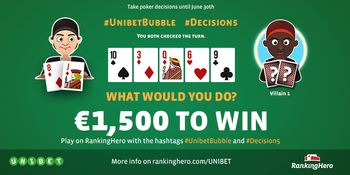 Answer IN A NEW POST (not in comments below this one) with the hashtags #UnibetBubble and #Decision6 . Our judge @Nicolas Levi will select the winner among the 10 members who get the most total likes on all of their mission posts. GET FREE BONUS TICKETS ON UNIBET.COM! We will also give away some Unibet.com tickets in random draws for all the contestants. To get more chances to win one (or many), ask a friend to come and participate in the mission. At the beginning of his/her post, your friend has to tag you. For each participation post you are tagged in, you win one more chance in the random draw. 1. Ask a friend to come and participate in the mission. 2. At the beginning of his/her post, your friend has to tag you. 3. For each friend of yours playing the mission, you get one more chance to win tickets!. Is the Monday afternoon deadline correct? 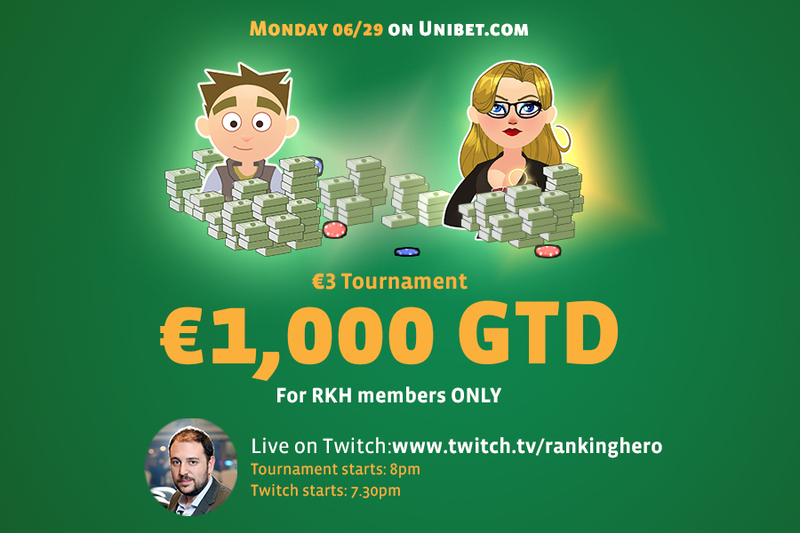 Don’t miss the 3€ tournament on RKH tonight! Well, I was down to 40 chips at second level. Finished 5th for 7x10euro ticket. Its not over, till I get some candy. Mission UnibetBubble - Decision 5 - €1,500 to win! Imagine: You are close to the bubble in the Unibet Open Cannes. There are only 2 players to bust out before getting to the money! The blinds are still 500/1000. In UTG+1, a player who likes to see a lot of flops opens with 2.2BB. He has 30,000 chips in his stack. UTG+2, with a 90BB stack, calls. You have now 34BB. In the BB position, you call with J♦8♦. Villain UTG+1 bets 5,000 chips. You are first to speak. Give your answer before Monday afternoon. 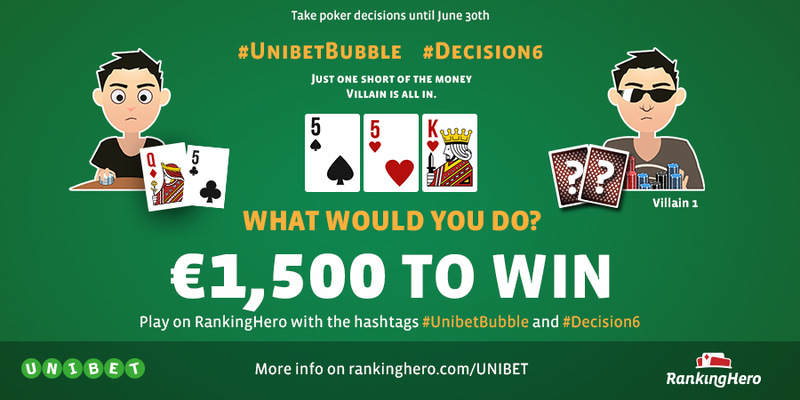 Answer IN A NEW POST (not in comments below this one) with the hashtags #UnibetBubble and #Decision5 . 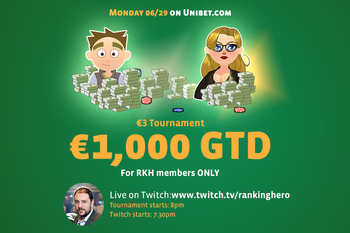 This Monday, June 29th, come and play the RKH €3 tournament on Unibet.com with €1000 GTD! It starts at 8pm (UK time). The password will be revealed during the live Twitch show hosted by @Nicolas Levi on the RankingHero channel. If you don’t have an account yet, click here and win a free €10 ticket and up to €500 Playthrough bonus. Participate in our Strategy Mission. 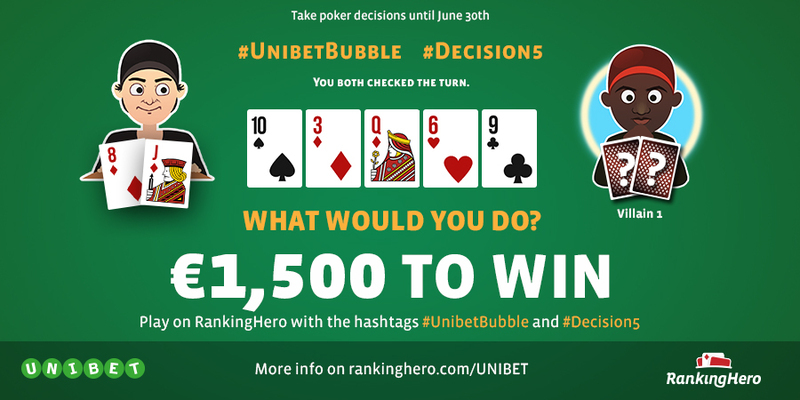 Take your decision, post it on your page and win up to €1500 in Unibet tickets! Will be 1000e in tickets? @Marius Cristian yes, 1000 euros in tickets. 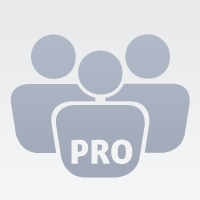 I'll publish in some minutes the prize pool structure. Mission UnibetBubble - Decision 4 - €1,500 to win! A few minutes after the one you played previously. Now there are only 2 players to bust before the bubble. Give your answer before Friday afternoon. 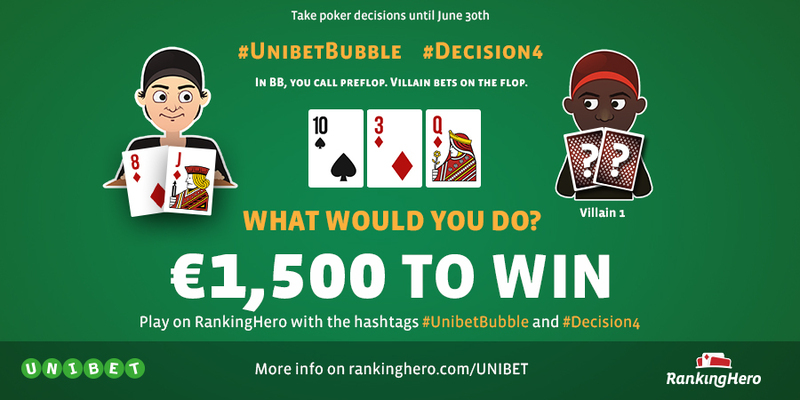 Answer IN A NEW POST (not in comments below this one) with the hashtags #UnibetBubble and #Decision4. 1. Invite a friend to participate in the mission. 2. Your friend tags you in his/her participation post. 3. For each friend of yours playing the mission, you get more chances to win tickets! What did he have in the last hand? Mission UnibetBubble - Decision 3 - €1,500 to win! Imagine: You are close to the bubble in the Unibet Open Cannes. There are only 3 players to bust out before getting to the money! A player just sat at the table with a 43 BB stack. In middle position, he limps in. Everyone else folds to you, in the cut-off. You have 37 BB in front of you and A♣7♠ in your hands. When you put 3,000 chips in the middle, villain instantly calls. 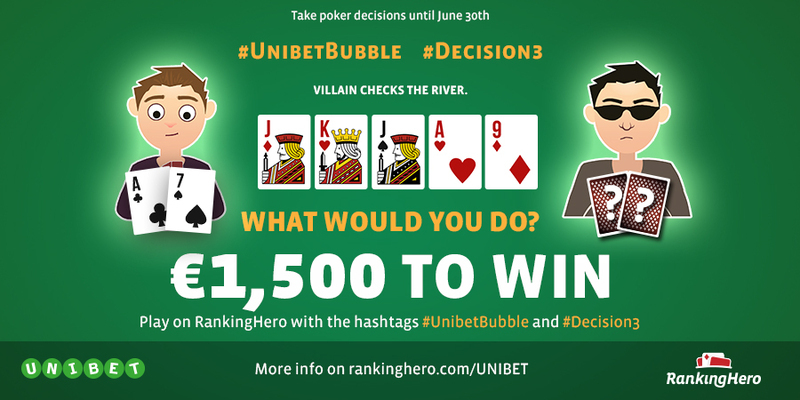 Answer IN A NEW POST (not in comments below this one) with the hashtags #UnibetBubble and #Decision3. 1. Invite a friend to participate the mission. 2. Your friend tags you in his participation post. 3. For each friend of you playing the mission, you get more chances to win tickets! etant donné que " vilain" checks à la river je pense qu'il n'a pas " quinte" et jusqu'à present il a subi mes attaques et il a just call sur mes 3000 à la sortie de l'as .